PAUL KALANITHI was a neurosurgeon and writer. He held degrees in English literature, human biology, and history and philoso­phy of science and medicine from Stanford and Cambridge universities before graduating from Yale School of Medicine. He also received the American Academy of Neu­rological Surgery's highest award for research. His reflections on doctoring and illness have been published in the New York Times, the Washington Post and the Paris Review Daily. 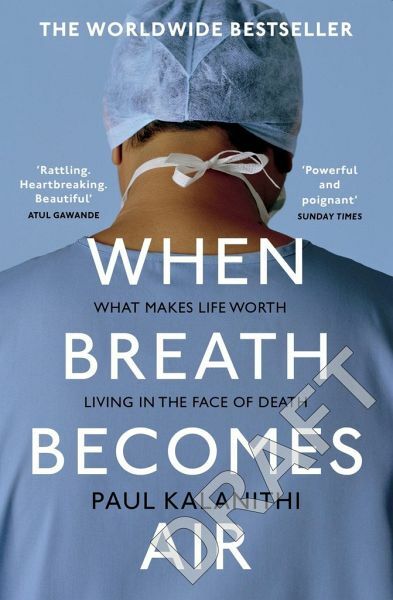 Kalanithi died in March 2015, aged 37. He is survived by his wife, Lucy, and their daughter, Elizabeth Acadia.